The last European Parliament has proven to be the least scientifically competent political entity since the days of Lysenko and Darré. In the last five years we have seen the sorry lunatic ideas of anti-vaxxers like Michèle Rivasi, chemophobe Pavel Poc and agtech neophyte Bart Staes – activists using the Parliament and public money to spread fear and ignorance. This May’s European elections, with the rise of extremist populism on the fascist far right and the Green Marxist left, is making the outlook for science and rational dialogue in Europe even grimmer. Science is not a big vote winner in an election where, as in this year, the European electorate has been juiced up on fear-based issues like immigration and pesticides. So how a candidate feels about science may be a good bellwether to how rational of a public representative he or she will be. Wouldn’t it be better to measure their commitment to developing a Europe of research, progress and innovation before we vote? 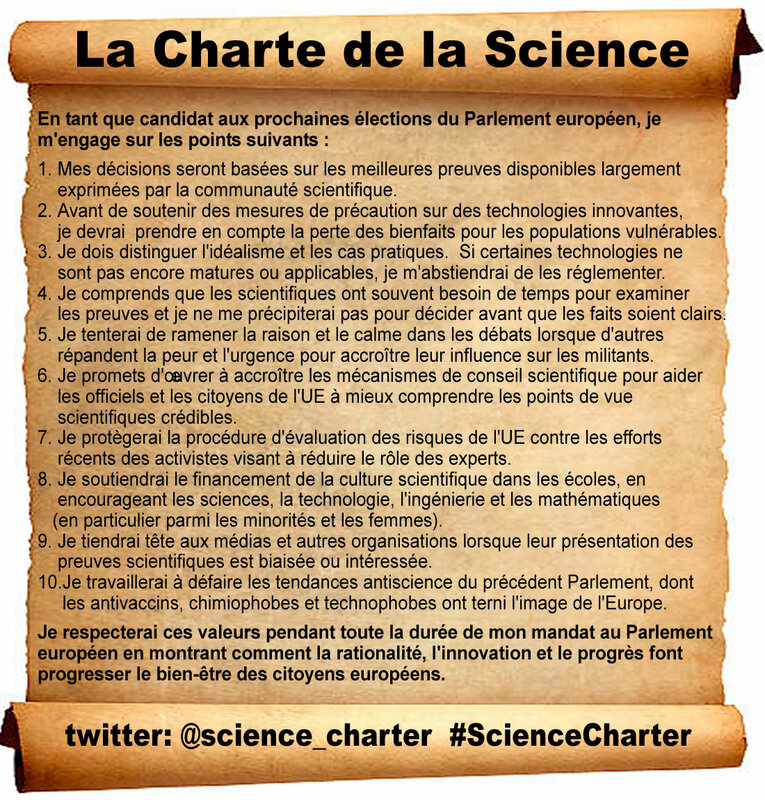 The Risk-Monger has drafted a ten-point Science Charter that should be presented to each European Parliament candidate for their reaction. Do not consider voting for any candidate who cannot honour these basic points. Pro-science meme…pity the EU will lose Anthea. 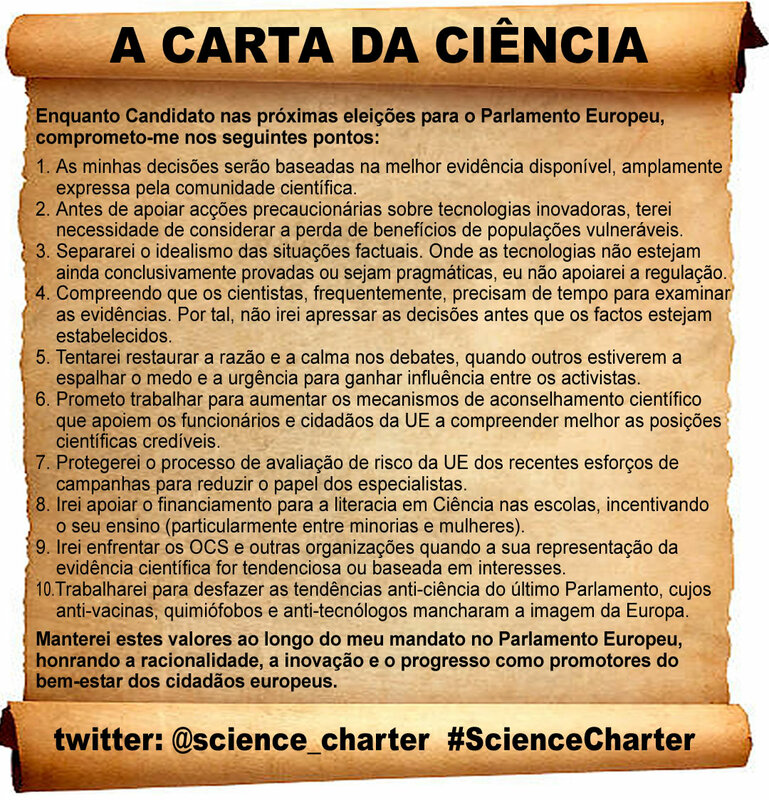 Furthermore, if enough people were to send the Science Charter (being translated into all EU languages) to their local candidate, raise it in public meetings and press them on their social media pages, science issues could be picked up perhaps entering some of the policy debates. With European elections from 23-26 May, we have six weeks to determine which candidates will promote science and technology and which are spreading fear and ignorance. My role is to help you promote this information, develop memes and further contact the candidates. If the European Parliament seems too far away from your daily preoccupations, trust me, it isn’t. I have seen what a certain group have done with public money and it is time to wake up. When French Green MEP, Michèle Rivasi, spent EU tax-dollars to host Andrew Wakefield and other anti-vaxxers at a screening of his film Vaxxed, I wished more people had known about this bull-dog’s ignorant views when they had voted. Rather than complaining, learn who is doing what. Find out how your MEP and party voted. Learn more about the European Parliament elections here. See the full list of candidates. The Risk-Monger needs your support! 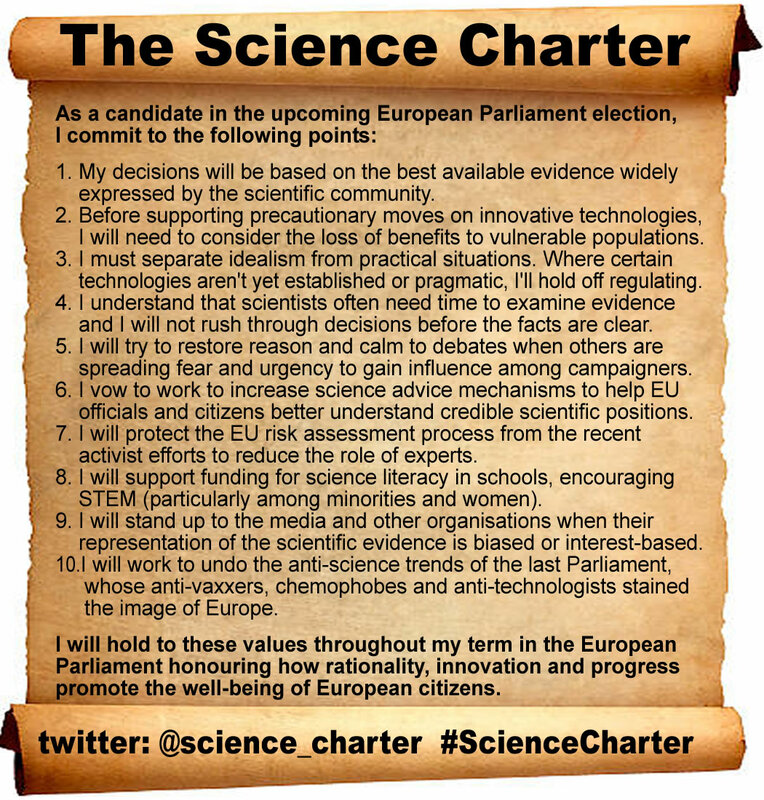 Could your organisation, community and friends support and spread the Science Charter in the European Parliament debates? 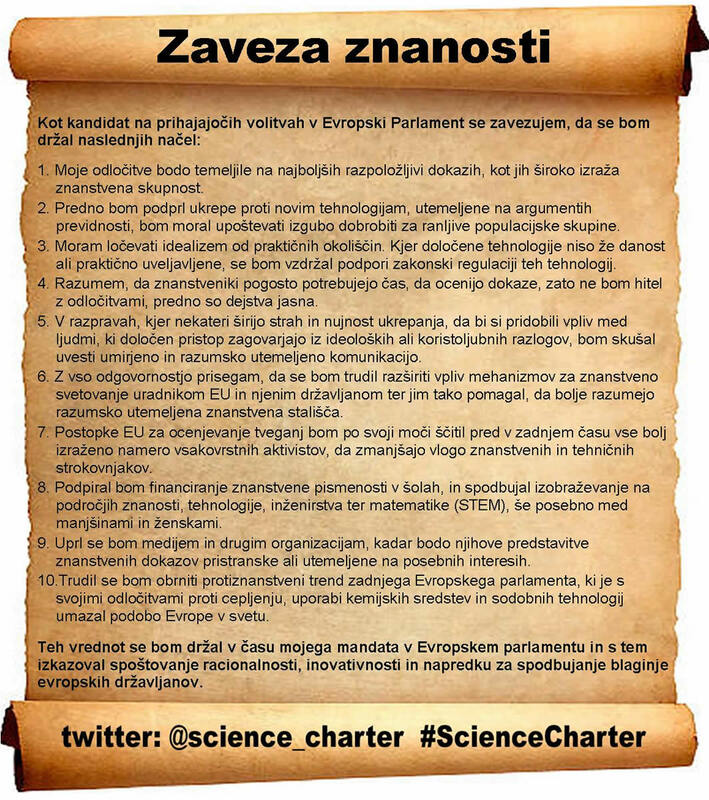 I would need help to translate the ten-point Science Charter into all European languages. I would need you to engage all of the candidates in your region to ask if they would support the Charter. 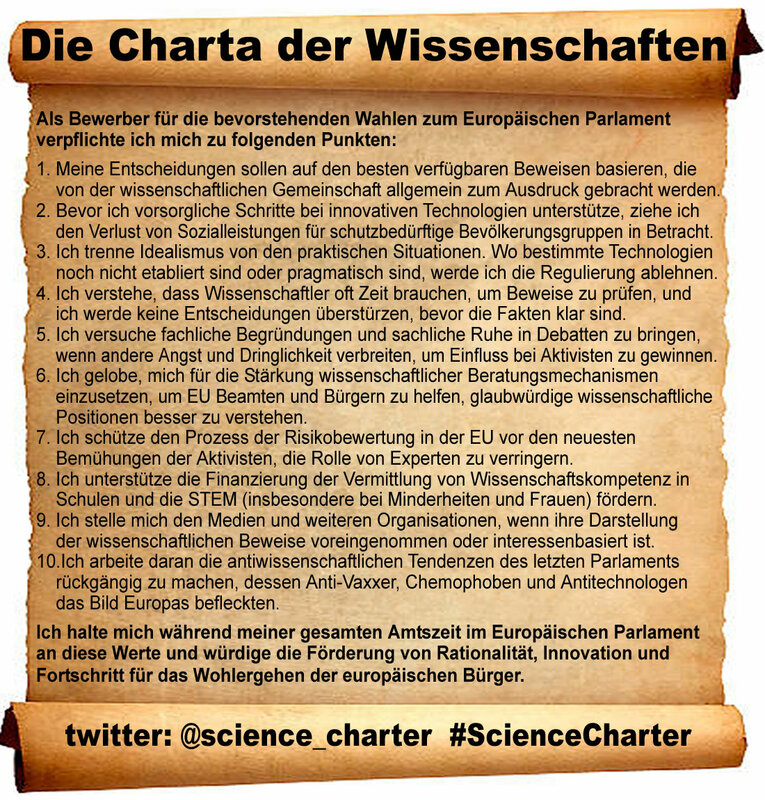 Raise the Science Charter at public debates. Share their responses so we can promote pro-science candidates. We can then produce memes you can share in your community. You can contact me on my social media pages or via the Comments section below (messages are moderated and can be kept private). 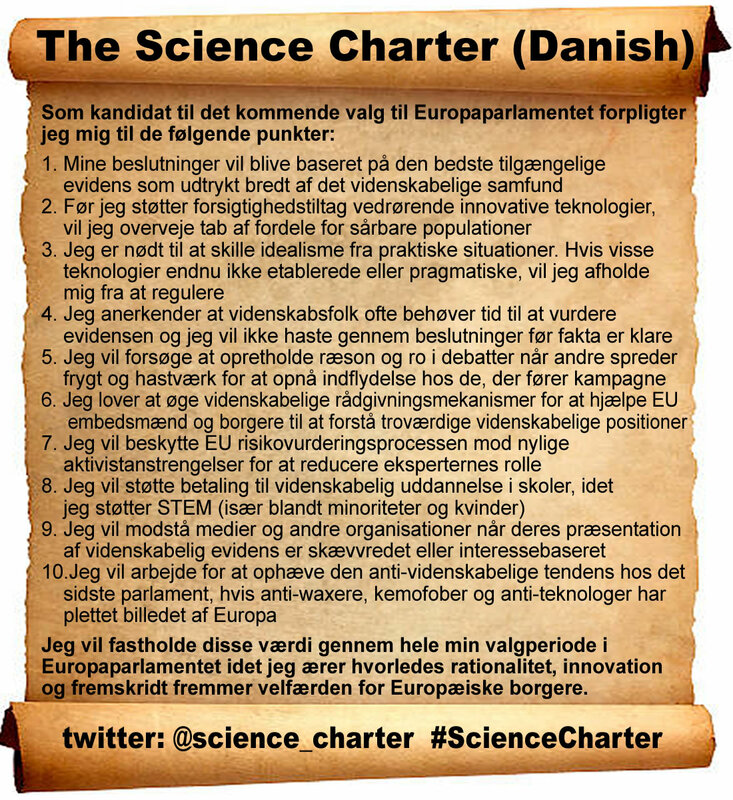 Follow the Science Charter twitter page. Science Charter text in Word. If enough people participate, then perhaps science rather than populist fears will be an important electoral issue. Otherwise, we will be letting the anti-immigrants and chemophobic anti-vaxxers control the European narrative for the next five years. This project was conceived by The Risk-Monger (David Zaruk). It was not sponsored or funded by any organisation and anyone involved is simply like him, a volunteer concerned by the rapid rise in ignorance in the EU, spread in part by a malicious band of activists operating freely in the European Parliament. 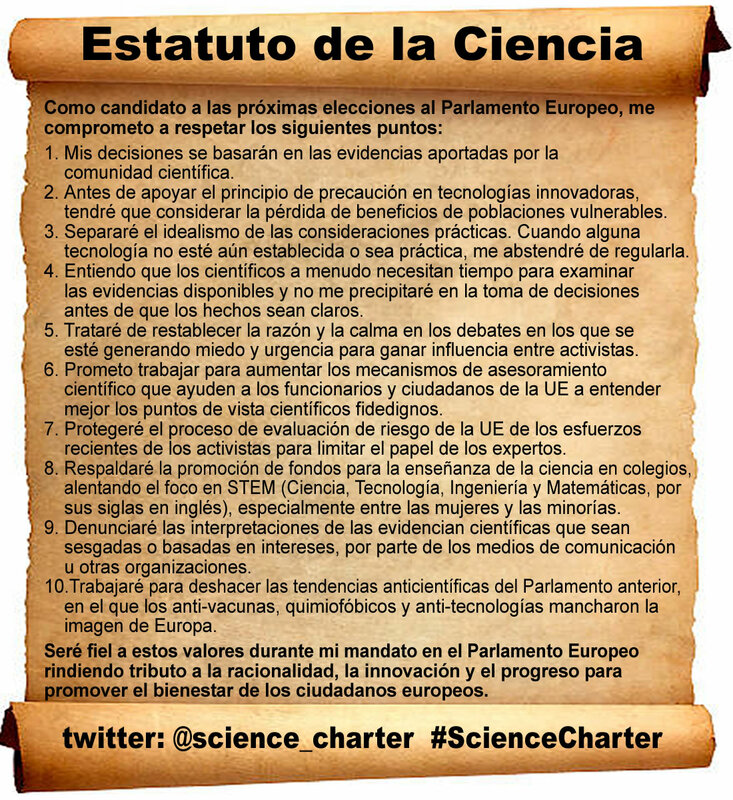 Find below the translation images of the Science Charters. If you cannot find the one for your country, contact The Risk-Monger in the comment section and offer your services. There are no sponsors or funding in this project, only volunteers. Many good points made here how the EU is influenced by anti-scientists whether By anti-vaxxers, opponents of GMOs various insecticides and pesticides, energy, especially nuclear and gas. Excellent! I shall be passing this on to my many scientist friends.